Add another bird to the grand slam. Scientists discovered fossils in southern Utah that appear to be a prehistoric version of the modern-day turkey. 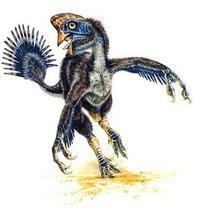 Named Hagryphus giganteus, the creature stood seven feet tall and could run upwards of 25 mph. Don’t expect to see one on opening day in your state. The dinosaur, which was a meat-eating raptor, roamed the western reaches of Canada and the United States about 75 million years ago. We wonder how long the beard could’ve grown on a 7-foot bird? Or how about the spurs? They probably resembled miniature elephant tusks.